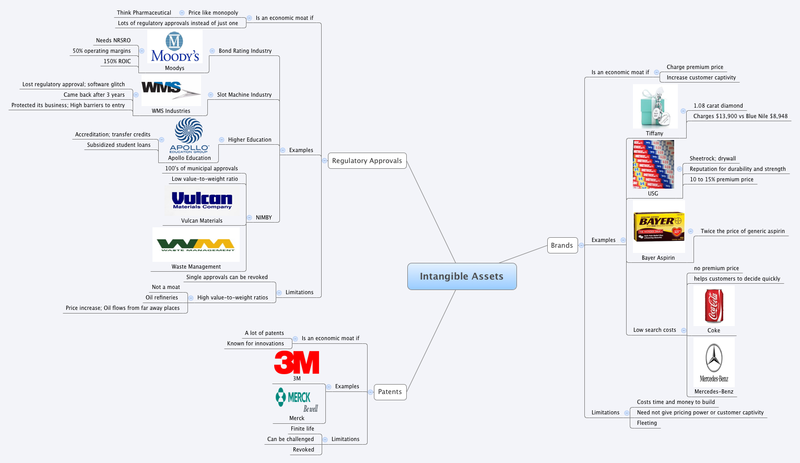 Few months back I mind mapped Charlie Munger’s psychology of human misjudgment. You can take a look at it here. Mind maps are really powerful as it organizes information visually and it aids the associative nature of human brain. In this post I have mind mapped four different types of moats which Pat Dorsey talks about in his fantastic book The Little Book That Builds Wealth. Recently he gave a talk about moats at Google. It’s simply the best and I highly recommend watching it. 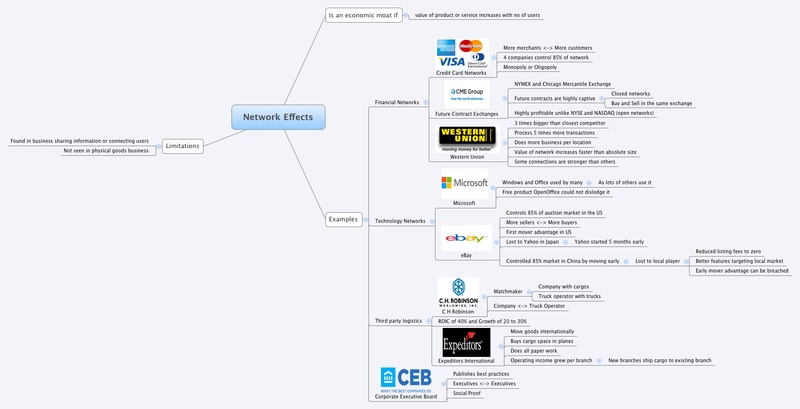 Few things to note before you look at the mind maps (1) In order to understand the mind maps you should have read Pat Dorsey’s book (2) Click on the mind map (3) Enlarge the mind map to view it clearly (4) Read them in clockwise direction (5) Repeat several times (6) When you study a business come back to this and see which moat(s) applies to your business. This is very good Mr. Jana. You’ve put in a lot of time in this. It shows. Keep enlightening us with your work. Wonderful post. Thanks for sharing and helping us to become a sensible and better investor. Superb Jana !! Just last month I read this book. And now I have this to wonderful post to refresh and refer so easily. THIS IS AMAZING jana. 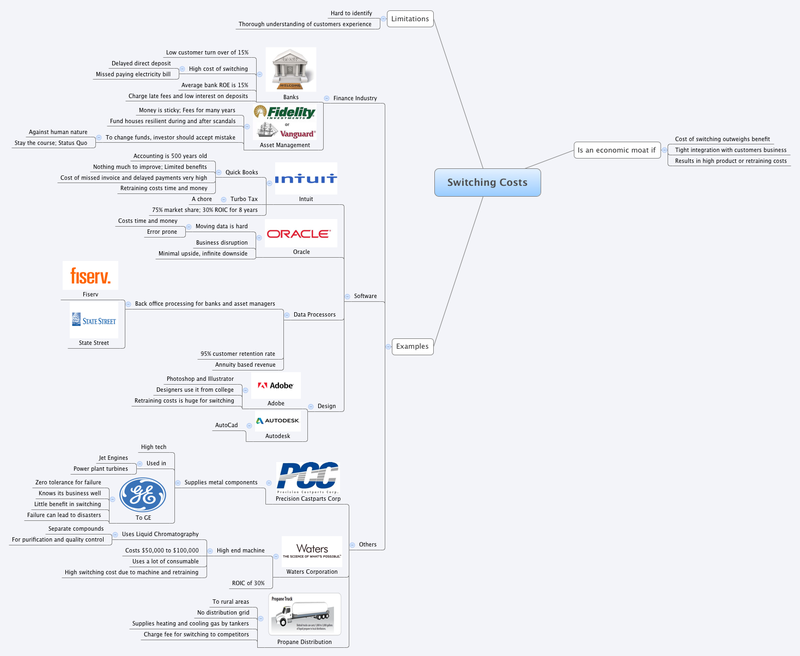 i am a mindmap fan myself and do a lot of it. happy to see a fellow finance professional into it. Great – work i red this book last week! and u captured the details exactly in the drawings using mind mapping. I read almost 2 books a week do you have list of books which you keep track for the all different area’s to have mental models mapping on different areas! wow – great thanks Jana – i will add them into my list ! I have my personal list of books compiled grown to 150+ books 😉 and its growing every week. But i got real mental models now to map them back to and reading them over time.